Street children are some of the most vulnerable in the world- a silent majority of almost 100 million, populating the streets of developed and underdeveloped nations. They are often stigmatised – labelled as petty criminals and considered a nuisance to the establishment and mainstream society. Street children are often not orphans but victims of extreme poverty (where their families can no longer provide for them) or of (physical, sexual or emotional) abuse. And despite the obvious perils, the streets are the only place they can go- finding a sense of belonging, ‘security’ and a source of much needed extra income to support their families- often entailing great risk. This year’s theme: The International Day for Street Children launched in 2011. 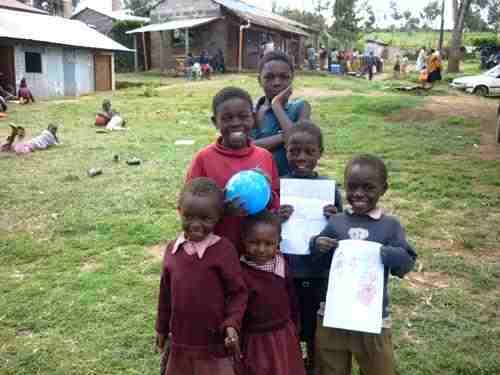 To coincide with the International Day of Street Children, I wanted to interview an inspirational couple who, for the past 12 years, have given hope to some of Kenya’s most deprived children in the Molo district of Kenya. 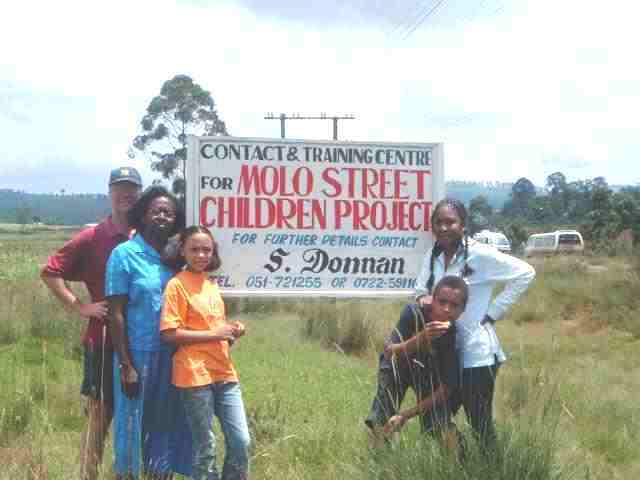 Meet Chris and Sonia Donnan, founders of the Molo Street Children’s project. Q: What is the Molo Street Children Project all about? Education: We provide school uniforms, pay for school fees so children can go to school, with additional follow up support. We also offer vocational training and informal schooling for children and adults. Family support and guidance including access to basic healthcare, spiritual nourishment and counselling. Employment – We provide income generating opportunities and casual work for some families. In the beginning: The Donnan family in the early stages of MSCP. Q: How did MSCP begin? My wife and I, along with our three children, went to Kenya in August 2002 so that I could take up a teaching post at a local secondary school. My wife, Sonia was also working part-time at the same school and so had the opportunity to make friends out in the community. Sonia became increasingly aware that although primary education was free following a change of Government, many children were still on the streets during term time. Upon investigation she realised that the children were often on the streets in order to get food as they came from households with little income. But she also realised that the children weren’t at school because their families couldn’t afford to pay for their school uniforms which was compulsory. We began to provide uniforms and equipment for children to attend school and soon after founded MSCP, almost a year later. Q: What is happening with the project at the moment? We currently support approximately 160 children and young people, including over 100 children in primary school, 34 in secondary and 11 in University, with another 2 due to start this September. 30 of the children in primary schools are sponsored; the remainder are supported to varying degrees, according to the needs of the family such as provision of school uniforms, exam fees or with meals. Q: You have supported over 300 families and countless numbers of individuals during the past 12 years. What is your favourite story of transformation? Kirio dropped out of school during Year 6 and started coming to the project after being on the streets for about 8 months. He has dwarfism and is about 4ft tall. His mother was around earlier in his life, but has turned to extreme drinking and left Kirio and his two sisters to fend for themselves. Kirio at the Molo Secondary Academy. Kirio commended by the local commissioner. Kirio decided he wanted to go back to school, so we tutored him and he re-joined Year 7 after a two year hiatus. He achieved excellent results in the Primary exam at the end of Year 8 and a sponsor was obtained for his secondary education. He did very well, despite some difficulties. He is now in his third year at University studying Actuarial Sciences. During the holidays he supports the project by doing various tasks and also encourages the younger children, who may have experienced emotional trauma. Our desire is that the project will be run and fully financed by the Kenyan people in the long term. We are actively working to increase the amount of money generated within Kenya- working with individuals, businesses and developing income generating projects to sustain the future work of MSCP. Ultimately, our hope is that MSCP will continue to care for vulnerable children and families, advocating their cause to the educational establishment and the Government. We strongly believe that only persistent pressure, prayer and dialogue will change the plight of these children and their families. Beautiful children: Some of the children that have been supported by MSCP. Q:How can people support your work? You can support the project in a number of ways. Through volunteering; regular giving; child sponsorship or hosting a one off fundraising event. We would also love for people to spread the word about MSCP, sign up to our newsletter for regular updates and to pray- we believe in the power of prayer!